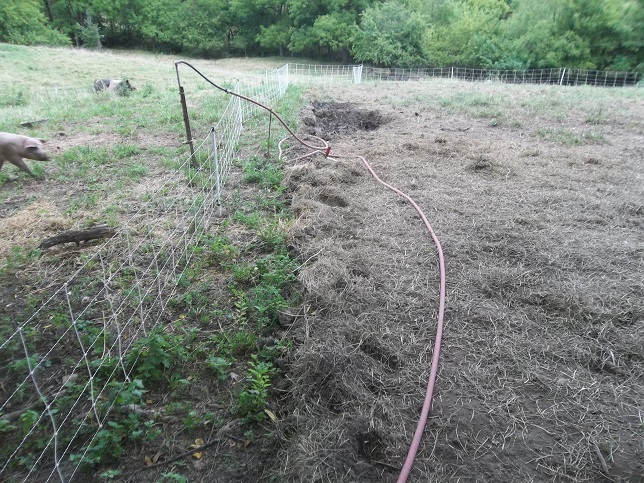 So, while I work to determine how much of a swale I can hire the pigs to build for me on contour and sulk about being continually outsmarted by my lovely bride, here’s a video of the pigs enjoying fresh pasture. Ever seen a pig eat grass? This entry was posted in Pastured Pork and tagged Pigs are Omnivores, Pigs on Pasture. Bookmark the permalink. Behind every man…you know the rest. Happy pigs. Your father has the same problem.